We are a few months away from the new season of NCAA Basketball, the regular season will start on November 10th and training will begin at the end of September. So why are we even talking about this now? Simple, getting a head start is always a good strategy, and with the NCAAB betting software platform at AcePerHead.com, that allows you to start taking future bets on the sport way ahead of the season start, you are guaranteed to have the upper hand on your competition. Every year, men’s college basketball becomes increasingly popular with bettors, the unpredictability of the sport seems to awaken the trill seeker in them, and with so many games to choose from every week, they can’t seem to get enough. Like with anything else in life, when we see something we like we go after it, by posting early future lines for NCAA basketball, it is more likely that your players will get in on the action and not wait until some other site posts them. For obvious reasons, early future lines must be capped to relatively small bets, that is another great feature of the NCAAB betting software from www.AcePerHead.com, you can set limits on every line of every sport. The flexible interface will allow you to increase the maximum wager once the event is closer and the lines are not as volatile. A lot of pay per head shops are afraid to post early lines, the sport is known for having serious spikes in its lines, however, as long as you manage your risk, and act smart, you should be ok with posting your futures ahead of everyone else. And with the help of the expert line managers at Ace Per Head, you can have full confidence that you are being backed by the best. It is no secret that AcePerHead.com is known for having some of the sharpest lines in the business, however, this does not prevent them from being able to successfully manage public lines for those agents that require them. And in truth, both sharp and public packages can benefit from the right amount of crossover between the lines. It helps to create interest and boost profits. When it comes to college basketball, every season seems to be unique, you never know which team out of the 300 participating schools will shine brightest. There are clear favorites, but, every year some of them have unbelievable disappointing seasons, while, some of the biggest underdogs achieve the impossible; that is the allure of this sport. Knowing how to recognize real trends, and how to capitalize on them is what www.AcePerHead.com does best, keeping the lines as tight as possible to avoid creating gaps where agents could lose a considerable amount of money and generating interest in games that would otherwise go unnoticed is just part of the winning strategy. It has been said that every agent has different requirements, and while we don’t dispute this premise, we can guarantee that every agent needs to manage their risk and make a profit at the end of the year, so why not work with the guys who consistently and successfully do just that. Sign up with AcePerHead.com today! 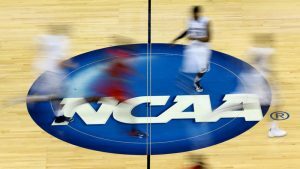 Betting on NCAA Basketball is practically the same as betting on NBA, you get point spreads and moneylines and you are allowed to place a variety of different types of wagers. College basketball gambling gives you so many different games to bet on, there’s certainly no shortage of action. Playing at home vs. playing as a visitor, road trips, injuries, motivation, rivalry, it all plays a role in a teams’ performance. Remember this is the one sport where one single key player can make all the difference in the world; this goes for basketball in general; any new addition or an injured player can completely change the dynamics of a team. Also, if you want to bet on NCAA basketball, start when the season starts, you can start slow and small if you want, but come November start following all the early season tournaments, stay informed; there’s 68 teams competing, perhaps out of these you only like 5, still, that’s a lot of games, you have to stay in the loop in order to play wise; by the time March Madness comes along, you’ll be feeling confident enough to choose your winning bracket. AceSportsbook.com offers you competitive live lines and odds on NCAA Basketball, oddsmakers are sure to keep you busy with betting offering starting from early tournaments to March Madness, brackets, props and futures. The lines displayed on this page are updated periodically. By clicking here, you’ll find the latest basketball picks, news, and previews! Check Ace Sportsbook‘s basketball gambling rules guide right here.